Last words are very important. They reveal the very heart of the speaker. The Book of Malachi is the last Word God gave to His Old Testament people. What did He have to say? What was on His heart? 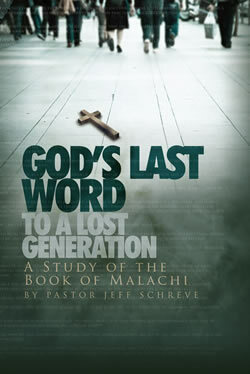 Pastor Jeff Schreve leads you through this timely 9-MESSAGE study of GOD'S LAST WORD TO A LOST GENERATION.